Teachers played a huge role in my life as a child. School felt like my second home, a place where I could explore my love for numbers and nature as well as feed my ever growing curiosity to understand the world in which we live. Since kindergarten, I wanted to be a teacher when I grew up, so decided to attend the University of Southern Maine, majoring in psychology and education. Upon completion of my first year teaching 5th grade in Maine and earning my masters degree, my husband and I moved from our rural small town in mid-coast Maine to New York City so that he would have the opportunity to pursue his passion for the arts. After considering a career change to law, I entered back into the teaching profession in NYC. In 2010, I joined the AmPark family while the school was still located in the Workman's Circle Community Building. As a child, you could find me squirreled away puzzling, doing logic puzzles, magic squares, tower of hanoi and tangrams to name just a few of my favorites. To this day, I am a puzzler, spending my free time exploring origami, KenKen, Sudoku as well as taking mathematics courses at Bank Street where I am able to continue to my love for learning through discovering the patterns that exist in our world and explaining them using mathematics. In the classroom, I provide opportunities for students to work as mathematics, developing conjectures, experimenting, exploring and making connections. My name is Lauren Pane and this will be my tenth year working in the New York City School System. I graduated from Iona College with a degree in Mass Communications, but realized that my place was in the classroom, so I pursued a Master’s Degree at CUNY Lehman College in Childhood Education. I am also certified in Special Education and in Early Childhood Education. In addition to enjoying helping others learn and grow, I love reading, listening to a variety of music, spending time with my family, and playing with my daughter, Charlotte. I truly believe that teaching is a work of heart. My Name is Sandra V. Herrera, and I have been with AmPark Neighborhood School since September of 2010. I was born and raised in the Dominican Republic , in a small little town called La Romana. 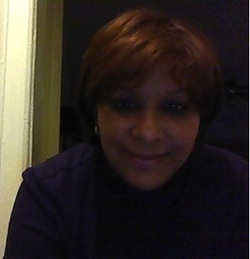 I have a Bachelor’s Degree in Health Service Administration, from Monroe College. I graduated from Monroe College in 2005. I have been working on getting my Teachers Certificate. I love to read and spend time with friends and family. I have two children. Chanelle is twenty-one and my son Luis is twenty-five. I have been blessed to come to work every day with an amazing staff and wonderful students.